It’s been a long time coming, but an automotive company claims that they are ready to bring on their hybrid air-to-road vehicle to market. This group, Terrafugia, has been working on the concept for close to a decade now. Known as 'Transition,' this vehicle could be a forerunner in a future where we all use hybrid driving to get around. The makers claim that the product has been rated and approved for both air and ground travel in the United States. However, it is still nowhere near general availability. Also, Terrafugia will be pricing Transition between 300 and 400 hundred US dollars. A Transition to Airborne Cars? Transition, made by Terrafugia, is a subsidiary of the Chinese-owned Geely Automotive group. Its test prototypes have racked up hundreds of hours of flight time already. It is known that the ‘flying car’ only goes at about 100 miles per hour in the air, runs on typical (albeit premium) unleaded petroleum, and has a 140-pound, four-stroke engine with four cylinders. This may not seem very prepossessing for an aircraft engine. However, the creators appear confident that Transition can make it airport-to-airport, at least. The company also asserts that the vehicle is well-positioned to replace small light aircraft for domestic flights. What happens when Transition touches the ground again? Given that it looks much like a small plane than a car, how can it fit into the average lane on the road? Terrafugia’s design has addressed these issues by engineering wings that can fold inwards and upwards to make Transition more compact on the road. The car has previously been photographed on-road in this conformation. Reports have also claimed that it will propel itself using a hybrid electric engine, while on the ground. All this sounds very promising, especially for those who have been looking forward to owning their own flying cars since the release of the movie, Back to the Future! Terrafugia notes that the switch between flight and road modes takes as little as a minute. On the other hand, the vehicle also needs a runway to get into the air, just like any other aircraft. The company also claims to have secured approval from the U.S. National Highway Traffic Safety Administration (NHTSA) and Federal Aviation Authority (FAA) for their customers to pilot and drive their Transition. However, potential users should be prepared to pay quite the premium to be the first to own these flying cars. Initial reports stated that Transition would cost about $275,000, but this price has since been revived, and it is now reported to be between $25,000 and $125,000 greater than this initial sum at the pre-sale stage. So it seems that dual flight and drive in the same vehicle is still not really feasible, even as we move toward the third decade of the 2000s! Accordingly, Terrafugia projects that Transition will be most attractive to corporate, logistical and governmental purchasers. Furthermore, it also appears that this flying vehicle may not even be Terrafugia’s main focus when it does eventually get released. The English version of the news outlet, Xinhua, claims that the company is additionally working on a second vehicle, which will be unveiled as a concept when Transition has launched in October. This model could be known as TF-2. Terrafugia aims to integrate vertical take-off and landing in this vehicle, which could make the flight-in-a-car concept more feasible on conventional roads, and maybe even in built-up areas such as cities. On the other hand, TF-2 is not likely to be available until 2023, at the earliest. Despite all these issues, Terrafugia persists in promoting the potential advantages of their flying road vehicles for the world, in the future. The company could well include the alleviation of traffic and its congestion in major urban centers. Zhang Yangjun, a researcher at Tsinghua University, also notes that such cars could have a considerable impact on the environment, as well as economics, the safety of individuals on roads and on society in general. 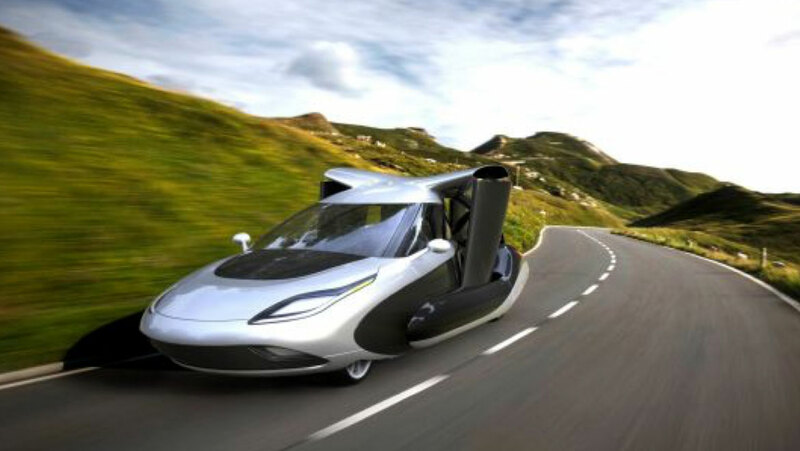 Terrafugia is likely to be the first company in the world to offer a true flying car, Transition, to the public in the near future. On the other hand, the vehicle looks a little like the dual-travel product imagined in the world of science fiction! Nevertheless, the designers are confident that it can move on the road as well as it can in the air. Transition is currently being described as relatively slow and low-powered as an air-going vehicle. Based on these indications, it appears that users will still have no access to their own flying cars. Therefore, there may be no need to draw up national traffic control plans in three dimensions just yet. Era Of ‘Smart’ Touch: This Phone Accessory Can Literally Touch Its User Back!